I have the Include Specials option in the Watch Progress settings checked ( https://i.imgur.com/bHRIVv3.png ). 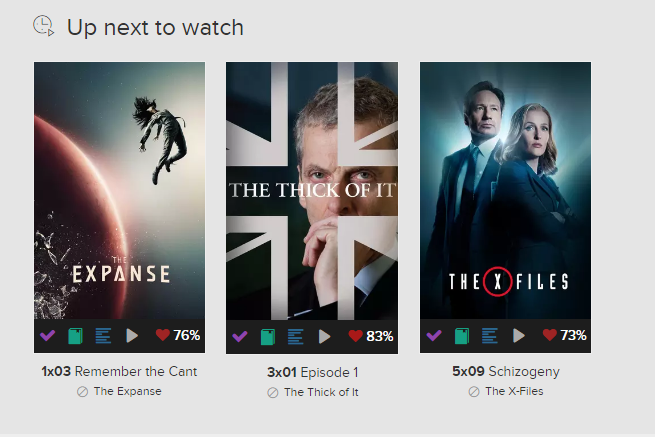 The show I'm watching ( https://trakt.tv/shows/the-thick-of-it/seasons/all ) has 3 specials between Season 2, which I recently finished watching, and Season 3 ( https://i.imgur.com/MyGsq6a.png ). 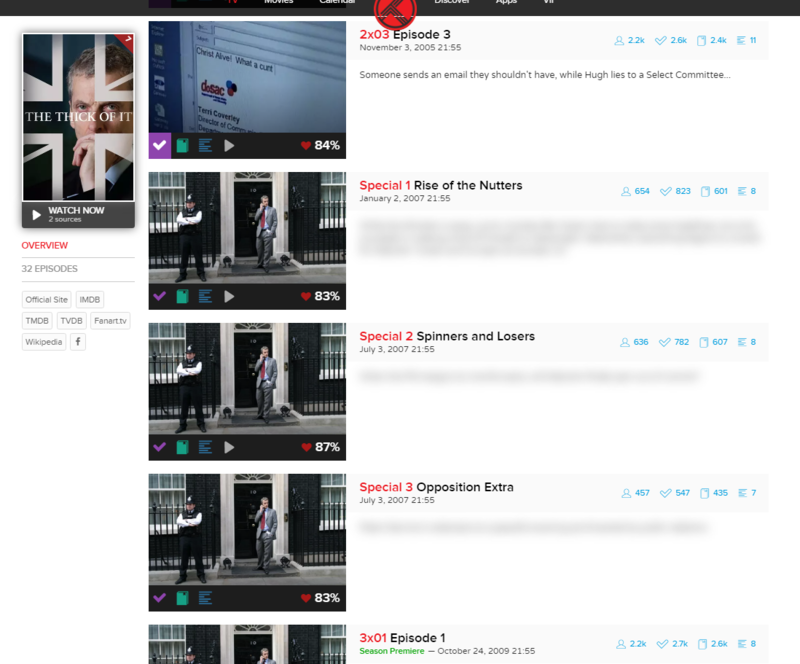 However, the next episode to watch, in my Progress page ( https://i.imgur.com/c7Am7dm.png ) and the Dashboard ( https://i.imgur.com/56tQvIB.png ), is the Season 3 premiere. The checkbox currently only applies to the overall percentage calculation for the show. We’ll need to update how progress calculates for the next episode. How many movies have you seen from a specific person? Planning to add a watched percentage when viewing a person’s summary page. I would really love that when you're watching some movie's page it would show somewhere that is it a part of some movie set (sequels etc.). Remove already played series/movies to from this list. It would be great if i could recommend a given show, episode or movie to another trakt user. In order to avoid spam i suggest that you can only send a recommendation to a user that follows you.